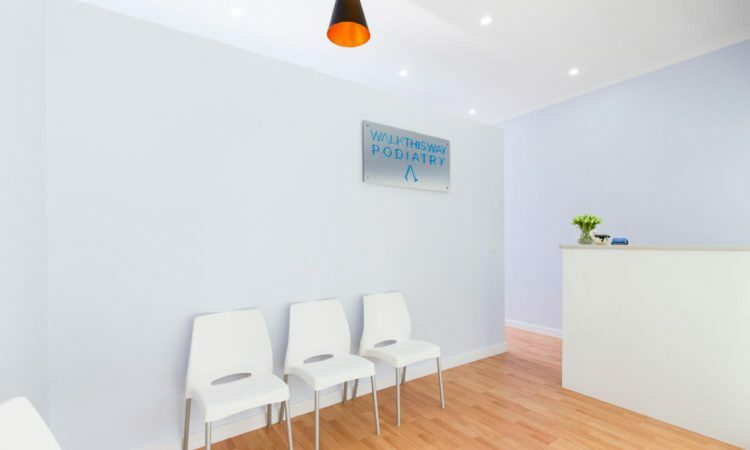 At Walk This Way Podiatry we believe in providing the highest quality and most comprehensive Podiatry services to our patients. We are committed to helping you, your family and the local community with any foot problems to keep you active and doing the things that you love. We have an extensive commitment to continuing education in order to provide the most current and effective treatment techniques. We pride ourselves on being on time, flexible and accommodating to our patients’ needs. We strive to be a pillar of the local community and actively support our districts schools, sporting teams, businesses and their fundraisers. As part of our commitment to you we also provide an in-clinic footwear service for casual and orthopaedic footwear. We sell a range of products to help you with post-treatment care and maintenance. We have a dedicated massage and stretching clinic to compliment your other treatments. 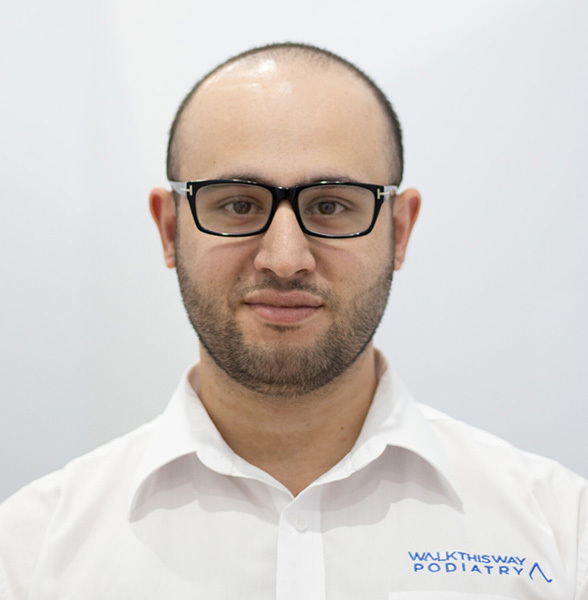 Joseph Sassine is the Senior Podiatrist and Managing Director of Walk This Way Podiatry. He offers diagnostic and management advice and is passionate about helping patients and athletes who experience foot and lower limb related problems. He graduated from The University of Newcastle in 2010 with a Bachelor of Podiatry and undertook work in private practice in Sydney. Joseph has worked in a wide variety of sports fields and has a special interest in managing cases of continuous Plantar Fasciitis, Achilles tendinopathies and growth plate injuries experienced in children and adolescents. Joseph is a supervisor and mentor to current Podiatry and Medical students and believes highly in continuing education and professional development. He has completed further studies and training in Radial Shockwave Therapy, Prolotherapy and is currently completing a Bachelor of Pedorthics at Southern Cross University which will enable him to offer a unique range of soft tissue and footwear management to his patients. Joseph encourages all individuals experiencing foot and lower limb problems to attend Walk This Way Podiatry for a thorough and individual approach to their management. Jason is a Podiatrist who offers diagnostic and preventative treatment advice at Walk This Way Podiatry. He graduated from Western Sydney University in 2016 and holds a Bachelor of Health Science and Masters in Podiatric Medicine. Jason has a background in sport being heavily involved in a soccer orientated family and is familiar with the ongoing injuries of the athlete. He has a special interest in managing cases of complex tendinitis and forefoot injuries and provides regular professional foot treatments including ingrown toe nail surgery. Jason cares solely about a patient’s wellbeing and hold theirs best interests in formulating an individual management plan to achieve a positive outcome in all scenarios.